We're less than a month away from the most exciting days of the entire year for birding!!! For now, I'll update stuff about the sun! I'll do more bird photos and weather over the next little while. Still sorting out my life after returning home. STOLEN - from www.solarham.net - awesome website. Check it out! Solar activity continues at moderate levels thanks to an M1.4 solar flare this morning observed around departing sunspot 2014 at 08:07 UTC. A beautiful eruption of plasma was captured during the event by the Solar Dynamics Observatory (SDO) as seen in the image below. Any associated coronal mass ejection (CME) would likely be directed away from Earth due to the location near the west limb. 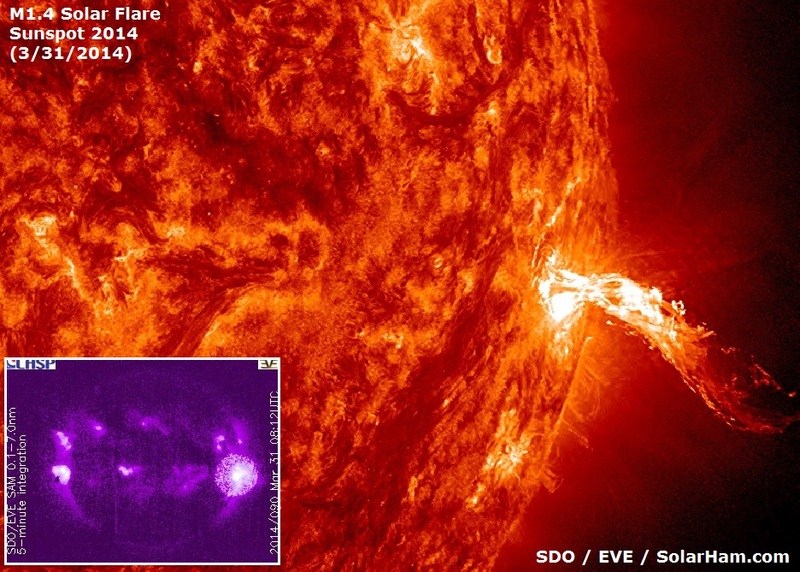 Click HERE to watch an awesome movie by SDO using the 304 angstroms channel. Beamer Hawkwatch Alert - Sunday maybe, for sure Monday? I expect a LOT of these beauties will pass through Sunday-Monday at Beamer!!! As of the forecast right now, I'm guessing Monday could deliver a MONSTER flight of raptors at the Beamer Hawkwatch in Grimsby. Sunday - as of right now, winds are forecast to be north at 30kph. It will be VERY cold at Beamer, and the flight may end up totally dead. BUT - the birds are so far behind, they may fly anyways. If they do fly - the fight will be verrry enjoyable (just ignore the cold) - as they ride the updrafts along the ridge. Red-tails and Red-shoulders could put on a show. Sunday is good weather to get a species like Peregrine Falcon or Northern Goshawk. If snow to the south doesn't totally shut down the flight (plus winds too strong from the north). Monday is currently calling for winds south at 10kph and 10 degrees. This is THEE day (based on the forecast). I would expect large numbers of several species (Red-tails, Shoulders, Bald Eagles, Harrier's, Rough-legs etc) - and maybe a large flight of Vultures as well. If a "lake breeze" kicks in, the large numbers may move inland - but a few hundred birds will ride the ridge and give great looks. If it doesn't kick in that much, I'd expect huge numbers to be all over the place (high/low etc). with great diversity. This is the type of forecast that could really make for an incredible day, but it's nearly impossible to predict exactly how the local geographical elements (lake, escarpment) will change the dynamics of a flight. If you want to see lots of birds, for sure - go both days. If you only have Sunday off (and want to see hawks) - give it a try Sunday. Monday looks best (right now) though. I'll update the comments section of this post over the next 24ish hours if anything major changes with the forecast. Why is there still so much ice here? What the heck? I was expecting spring when I came home! We're starting to see a MAJOR difference in the year-by-year look at ice cover... Typically this stuff is (has) melted more by this date. The above graph shows total ice cover (all great lakes) on the SAME week, each year. (In this case, the chart was updated March 24th). 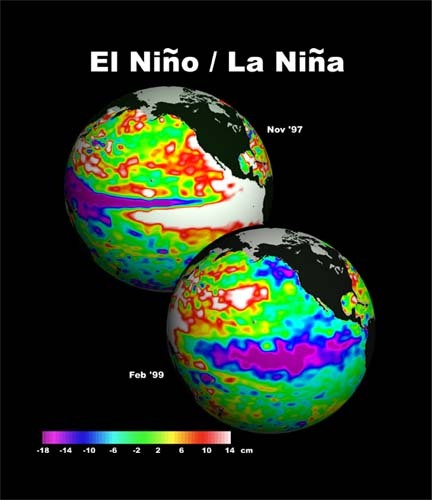 ENSO-NEUTRAL CONDITIONS REMAIN IN PLACE AND ARE NOT DIRECTLY CONSIDERED FOR APRIL. THE FIRST GUESS FOR APRIL IS THE 0.5 MONTH LEAD MAM SEASONAL FORECAST ISSUED ONE MONTH AGO. THERE IS STRONG SUPPORT FOR CONTINUATION OF THE TEMPERATURE PATTERN THAT RESEMBLES WHAT WE HAVE SEEN ALL WINTER I.E WARMTH IN THE SOUTHWEST AND COLD IN THE NORTHERN PLAINS AND NORTHEAST. DYNAMICAL TOOLS AND SOME OF THE EMPIRICAL TOOLS SUPPORT THE CONTINUATION OF THIS PATTERN FOR AT LEAST APRIL. COVERAGE AND PROBABILITIES ARE QUITE HIGH FOR A MONTHLY TEMPERATURE FORECAST. THE APRIL TEMPERATURE OUTLOOK INDICATES AN AREA OF FAVORED BELOW NORMAL MONTHLY MEAN TEMPERATURES FOR PORTIONS OF THE NORTHERN PLAINS, GREAT LAKES, TENNESSEE AND OHIO VALLEYS AND NORTHEAST. SOME OF THE COLD MAY BE AMPLIFIED IN COASTAL AREAS AROUND THE GREAT LAKES SINCE ICE COVER IS PRESENTLY HIGH AND, ONCE UNFROZEN, WATER TEMPERATURE WILL BE BELOW NORMAL FOR SOME TIME. TOOLS FAVOR ABOVE NORMAL TEMPERATURES FOR MUCH OF THE SOUTHWEST QUARTER OF THE CONUS WITH A WEAK EXTENSION ACROSS TEXAS INTO THE COASTAL AREAS OF THE SOUTHEAST. ANTICIPATED RIDGING ACROSS PORTIONS OF WESTERN NORTH AMERICA INTO ALASKA SUPPORT ABOVE NORMAL TEMPERATURES FOR MUCH OF ALASKA. BELOW AVERAGE SEA ICE EXTENT AND ABOVE AVERAGE SEA SURFACE TEMPERATURES IN THE BERING SEA ALSO SUPPORT THIS FORECAST. If the temps stay on the cool side, the lakes will stay COLD (especially with all that ice bouncing the heat away)... That may mean we'll be in for a much cooler SUMMER because of it... Maybe more so for Superior, Huron and Michigan, but still noteworthy. Anyways... We could be less than a month away from the first MAJOR push of tropical migrants (and VAGRANTS!) into the Great Lakes... Stick here for any weather news about when and where the birding will be epic!!! The highlight photo of the trip! 400 "self found" in Ontario?! The Bobwhite is a tough one... I have no quarrels with counting an "established population" as self found, if it's the only place you could possibly see/count it in the province. It's a gray area. I wouldn't count Gray Partridge at the Brantford Airport (a specific twitch to a small area) - but Bobwhite would take enough effort wandering around Walpole Island to actually "find". If I bird long enough in the province (an "if"), I fully expect to unexpectedly cross paths with all of those beauties someday... Some of these (like the fulmar) are location specific (Netitishi) which bump them to this category. I figured with my recent "goose thoughts" - I would pump it one more time! First - I think the added ice and snow is going to concentrate some massive flocks of birds in far-eastern-Ontario along the St. Lawrence - giving observers the reason to visit and view the spectacle. Therefore also giving them a chance to actually find one of those two beauties if they're present. Therefore - I'm going to share some thoughts on how to find one! 1.) - Don't sweat the Snow Geese! - Sure, they're beautiful... But based on my research, the Barnacle or Pink-footed is going to be associated with CANADA Geese instead. I'm sure you'll happily find a Ross's Goose among those Greater-Snow's, or even a White-fronted. But the gold birds could be elsewhere. 2.) - Visit sites during GREAT lighting.... If the sun is in your eyes, it's going to be rough scanning a few thousand Canada Geese. Maybe a cloudy day would be better, depending on when and where you're looking? 3.) Quickly learn their behaviour. I've often found that geese head to the fields much more often on windy days, and less-so on calm ones. Also - a roost site can be amazing at dusk. The more geese you see, the higher your odds are of seeing more species! 4.) Scan EVERY goose... This is something I typically do with all birds, but goose-specifically - I OFTEN see Cackling Geese as the one or two birds, on the extreme edge of a flock (or even distancing themselves from other birds) as an example... A rapid scan is fun, but that Pink-foot could easily be 30ft to the side, by itself. 5.) Rare birds are rare... Another time tested and true bit of advice, they're rare for a reason. You can do everything right, and see nothing. Make it fun! The more fun you have, the more you'll look, and the more you'll end up seeing. Based on my research, it looks like March 25 to April 2 is historically "prime time" for those beasts to move inland from the coast. Things may be totally whacky this year with the weather, so keep your eyes peeled for reports of big CANADA Goose movements around this time frame, or potentially a little later. Another "wave" of Barnacles and Pink-foots seem to move in the April 22-May 1 time frame, but by then I'm worried about SW Ontario (so I won't be looking) - but something to keep in mind if you live that way. Check it out! 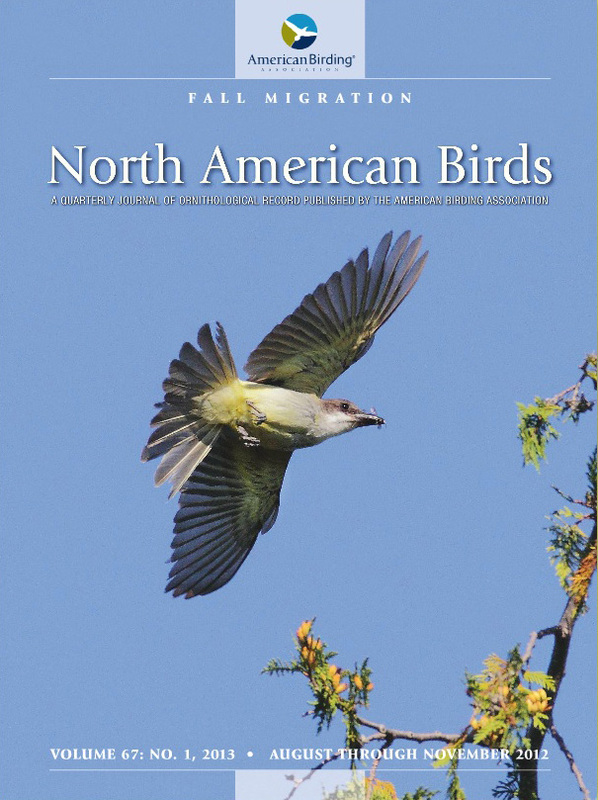 A while ago I had an image on the cover of North American Birds! It was that mighty-fine Thick-billed Kingbird from Presqu'ile in 2012... WHAT a BIRD!!!! On Feb 17th note - a nearby Fish Crow! Hopefully it decides to take up residence in ma hood! (Presumably the same bird I had by the condo on Feb 3, but who knows). Feb 18th - 3 Glaucous Gulls in the morning, possibly/probably part of the 14+ birds I recorded the day before! Feb 19 - not much at all..
Have these maps updated yet? I'm not home to check, but how do they look? (They update frequently, i'm just wondering when we'll see some orange in the great lakes region)?? There were some good birds snuck in there! A singing White-crowned Sparrow was my highlight (sounded amazing in the cold) - but birds like Red-headed Woodpecker also delighted. Let's get him posting more! 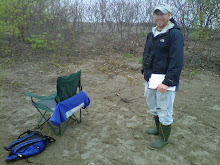 I (pretty much) started my birding career at Beamer Conservation Area in Grimsby... The location of the Niagara Peninsula Hawkwatch, the raptors passing overhead did a pretty good job of getting me "hooked" - and from there, it's history. These conditions occur during high pressure - and the bright sun starts to provide some heat to the land - causing the air to rise. The super-cool Lake Ontario however has other thoughts in mind, causing air to sink as it passes over. What happens next? A lake breeze! Winds at beamer will shift to the NE at 10-20kph and you'll have the perfect setup. Air riding up the face of the escarpment - providing lift for migrating Red-tails and Red-shoulders - to pass by (just to the north) - low enough for some fantastic views! If you get the above conditions, you'll have a pretty good day (as long as it isn't stupidly cold). Beyond that, i see some wild cards for the migration this spring (March). Wildcard #1 - there are a LOT of raptors south of us this winter. Especially Rough-legged Hawks, Northern Harriers and American Kestrels. These species BAILED out of the province with all of our cold and snow. Sooner or later, they're going to return. Will beamer see superb counts of these species in 2014??? Wildcard #2 - AWFUL WEATHER. All indications are pointing towards continued outbreaks of exceptionally cold air well into March. Will birds like Turkey Vultures move north in March, if it stays cold? We may be setting ourselves up for a remarkable flight in April - if things stay awful for the entire month. - but I've also seen the opposite happen. Maybe those Harriers and Rough-legs (mentioned earlier) will push north anyways - under conditions that do NOT concentrate them at Beamer... Causing the flight to be "missed"... This seems to happen most often with Broad-wings, but could easily apply this March to others with bad weather. - the only benefit I see from this cold air would be a possible increase in Bald Eagle sightings - simply because they are focused around Lake Ontario right now will all this added ice. Heck, they may not all be migrants - but the people at Beamer will count them! So yeah! Some random thoughts. We'll see how it shakes down. I won't be around to watch though (until late March at the possible earliest). I'm loving this flare stuff! This is gotta be some kind of a record!!!!!!!! Shouldn't these maps be updating? !